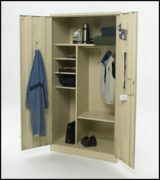 To ensure strength and security several superior construction features are incorporated in these lockers. The recessed, all-metal handle activates a single point mechanism and a three point locking mechanism that can be secured with a padlock. 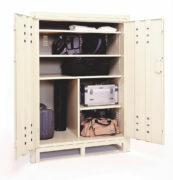 All units are assembled with heavy duty pop rivets. 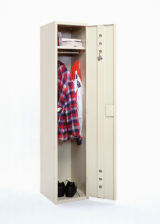 Comes with levelling glides and reinforcing metal bar.